Child to parent violence: Is it increasing? CPV: So what does it look like, Part 1. This is a post I have had in mind for a while, and which has been changing shape faster than I can write. As a result, this is going to be part 1, and I will continue the discussion over the next weeks and months. It really develops two themes and questions: what are we actually talking about when we present training or speak about child to parent violence (CPV); and where are the edges of the definition – what’s included, who’s included, and what and who’s not? It is something we need to address. I am often asked for examples to illustrate a discussion or seminar. It is lazy to simply assume that people understand the concept just because we have become familiar with it. “The outside world find it hard to imagine. As a mother you don’t broadcast it to the outside world because its not something you’re particularly proud of.” (Rosie Noble) But as more and more people start to speak out and to use the phrase “child to parent violence” it inevitably stretches a bit at the edges. 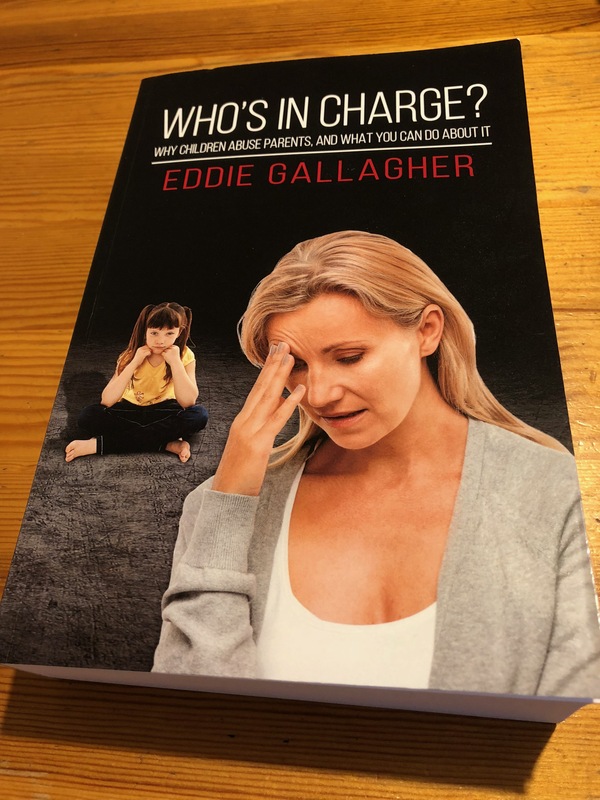 Many years ago now – by CPV standards – Eddie Gallagher gave a handy list of the types of family situation that might be affected (in his experience) by child to parent violence. Since then the list has grown, and it inevitably includes examples that make us a bit squeamish in including them under an official definition: severely disabled children for instance, or those acting in self defence. I have sometimes pondered how parents themselves feel about including themselves in a CPV definition. Indeed, I have asked parents of children with ASD whether they feel it is appropriate to their situation. Is that how they experience the situation? Do they feel they need to protect their child by rejecting the definition? Are the types of help currently available completely inappropriate to their situation and so it does not seem to include them? I meet parents of children with a learning disability who describe persistent and escalating levels of violence and abuse, that in many ways matches the experience of families with adopted children, or families who have experienced domestic violence, or with mental ill health. And of course in each situation there may be layer upon layer to consider. There is rarely one clear cause or trigger, and for each family it will look and feel slightly different. Is it taboo to admit your child with disabilities hits or bites you? On Woman’s Hour, on February 21st, Jane Garvey introduced a segment about caring for a child with disabilities. You can hear the programme here, and the discussion lasts from the start to 25 minutes in. There are interviews with Nikita, parent of a five year old child, Nayan, with microcephaly, who shows tremendous resilience in the face of regular tantrums and lashing out which comes from frustration; with Rosie Noble, Family Support Manager at Contact a Family, who offers reassurance that things can get better; and with Yvonne Newbold, mother of Toby, who has written extensively about caring for a child with disability. Yvonne has since blogged about the experience of appearing on the programme, and about her decision to speak out. I highly recommend her blog both for the honesty of the encounter, and for information about Yvonne’s wider campaigning to improve support for families experiencing long term, significant levels of violence from their learning disabled children. I’m not going to repeat the details here. If you are interested in knowing more about Yvonne’s experience then please do check out her website. She has organised a groundbreaking conference for the coming weekend, following her Woman’s Hour appearance, and I hope to post more information about her campaigning in the coming weeks. For what it’s worth, I don’t think Nikita’s situation would be included by many people within a CPV definition. That is not to diminish the level of violence she and her husband face – and sadly may continue to experience, but to question the level of control or intent involved in the hitting and lashing out. But how will we feel as Nayan becomes older, bigger and stronger? What about Yvonne and Toby – how is their situation different? Is it different? The issue of intent is one I will return to in later posts, as it seems to be a central part of the conversation, and yet raises more questions than it answers. If that’s not enough questions, I want to conclude by drawing some thoughts together and throwing a final one out there for discussion. When we discuss child to parent violence we are not talking about the odd push or shove, about stroppy teenagers, or about an argument we once had that got out of hand. The phrase is used to describe a pattern of persistent and often escalating violence and abuse over perhaps years, from a child or young person towards their parent or carer. The routes to CPV are many and varied, and frequently overlapping. Each family situation is unique, and yet there are many commonalities, not least in the actual day to day experience and damage – physical and emotional that is done. Nikita describes the pain and hope of living with a disabled child. Yvonne has years of experience and has taken a decision to break the silence, to encourage others to speak out, and to campaign for better support. These are just two examples of what CPV might look and feel like. So my question(s): Does that help your understanding or does it complicate it? And if you have a disabled child yourself, how do you feel about being included within the definition of child to parent violence? As always, please do join in the conversation! May 3rd 2017: I’m adding on a bit here rather than starting a new post, because I think it furthers these particular thoughts. Yvonne Newbold has continued to add to her own website over the last weeks, and this includes a page about dealing with violent and challenging behaviour from children and young people with neuro-disabilities. I think it is significant that Yvonne chooses to use this phrase – VCB rather than CPV – in this situation.